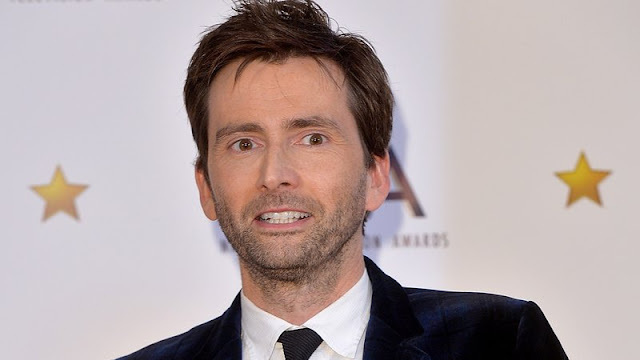 David Tennant has joined the voice cast of gen:LOCK to voice the character Doctor Rufus Weller (also known as Doc). He is the lead scientist with the Experimental Science Unit (ESU) and the inventor of the gen:LOCK technology. The news was announced at the Television Critics Association summer press tour in Beverly Hills on Friday 27th July 2018.
gen:LOCK is an animated sci-fi series which will be available exclusively on Rooster Teeth's online subscription network FIRST from www.roosterteeth.com. FIRST is available on a free 30 day trial and then costs $4.99 per month. In gen:LOCK Earth’s last free society is on the losing side of a global war and recruits a diverse team of young pilots to control the next generation of giant, weaponized robot bodies known as mecha. These daring recruits will find, however, that their newfound abilities come at no small cost. Previously announced members of the voice cast are Michael B. Jordan who will voice the main character, Julian Chase (Dakota Fanning as voice expert mech pilot and Chase’s love interest Miranda Worth) and Koichi Yamadera as Kazu Iida who is one of the new recruits transferring from Japan’s military forces, to fight alongside Chase in the gen:LOCK program. gen:LOCK is the second anime-style series and third 3D animated series from Rooster Teeth Animation. RWBY, which enters its sixth season this fall, is a global anime phenomenon. Red vs. Blue is Rooster Teeth’s first 3D animated series that began as a machinima production before incorporating custom animation and is the longest running web series of all time. Outlier Productions, Jordan’s production company, is co-producing gen:LOCK along with Rooster Teeth. 'Tennant is sci-fi royalty and we are thrilled to have him join this amazing cast' from Burnie Burns who is co-founder and chief creative officer at Rooster Teeth. gen:LOCK premiered online on Saturday 26th January 2019. David Tennant has joined the voice cast of gen:LOCK. David has voiced the character Doctor Rufus Weller (also known as Doc).